Coming soon: Total Lunar Eclipse & Partial Solar Eclipse (8th & 23rd October 2014) | QuantumPhoenix.net – Esoterica, Paganism & Ritual Magic. The Eclipses are coming soon.. in just under 2 weeks!! This pair is the last one for this year… So are YOU ready to take those magical opportunities, for Stellar Engineering your life? or will you skip it, and wait for the next pair in 2015?? Prepare to learn all about Eclipse Magic – how, when, why, where.. and tap into their potential for you personal growth and development.. ! We have a Total Lunar Eclipse on 8th October 2014 – in the sign of Aries. We have a Partial Solar Eclipse on 23rd October 2014- in the sign of Scorpio. Free Training Video series on doing Eclipse Magic. 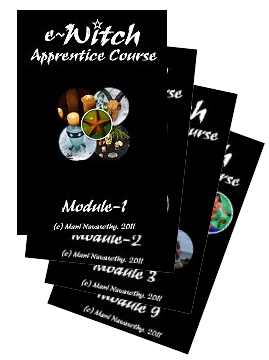 You can purchase the world’s one and only `Eclipse Magic Workbook’ (written extensively by me – Mani Navasothy, Astrologer & Esoteric Tutor). 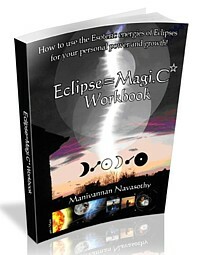 –> `Eclipse Magic Workbook’ Available NOW to buy.. and magically Stellar Engineer the Life you want!